Australian born, but American raised, Rick Springfield – yes, he of Jessie’s Girl (General Hospital) fame – has gone back to his blues roots on this his latest album, successfully fusing his pop sensibilities with traditional blues stylings, and all to great effect. I’ve been a fan of Rick’s works since the mid-1980s and his most excellent Tao Of Love album, and his excellent concert film (Bang The Live Drum) with its high tech special effects, so for me this album is a very welcome release indeed. Opener In The Land Of The Blind is a catchy and enticing start with its sub-Bruce Springsteen lyric melded to a strong melody and a very memorable hook indeed. This is a fine statement of intent to be taken seriously, and this is a very likeable album that grows in significance the more you hear it. Other songs such as Little Demon and Judas Tree are certainly worthy and very listenable with great music supporting some fine guitar work too. Rick is no stranger to the blues, both personally and musically, as he cut his teeth performing blues based covers by the classic British blues boom artists like Peter Green and Eric Clapton, and he has also suffered many bouts of self-loathing and depression over the years, even reaching such a low that he considered suicide some 18 months ago, all of which lends to his credibility in this genre. 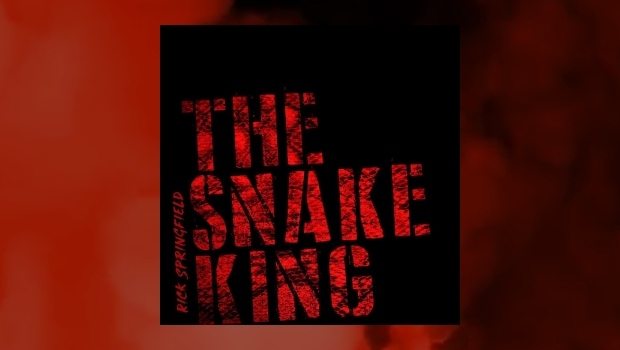 Rick himself says that this is more of a blues rock album than straight blues, but either way his songs certainly have a blues element to them and a good narrative running throughout them all, as Rick says, “I see a lot of stuff going on, a lot of evil, but Where is God?” – a question he asks repeatedly, especially on the song God Don’t Care and Orpheus In The Underworld. Rick is certainly up with current affairs and uses this album to fire several missives at those in power for their failings.